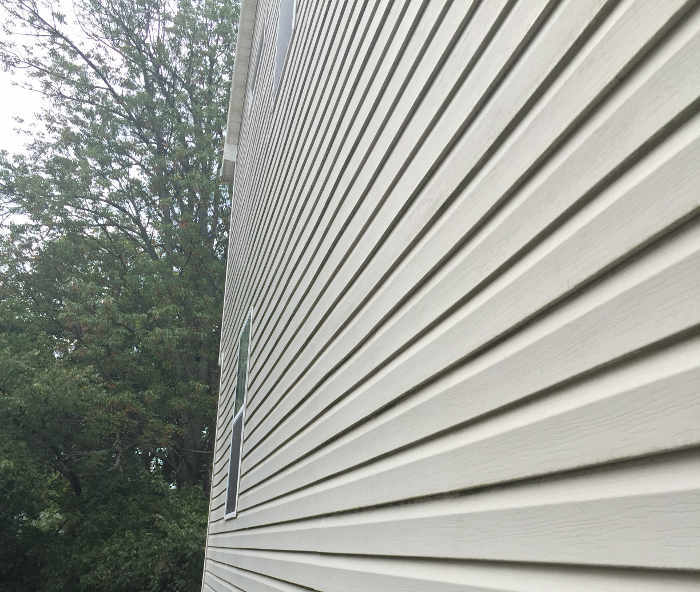 From new vinyl siding installations to repairs, we provide quality services as a siding contractor in Richmond, KY. We deliver the experience you deserve! Whether you’re looking to enhance your home’s curb appeal or simply need to repair loose siding, as our client you’ll receive quality workmanship. Do you need help deciding…Which siding is right for my home? Yes, we can help with this too. We provide our clients with more than just color selections, we’ll offer you guidance on the latest industry trends and based on your budget, which type provides the best return on investment. Our experience is constantly evolving. We are continuously researching the best materials, products and new innovative methods of installation. This keeps our siding services above par and provides the assurance our clients expect to receive. The following includes information on our provided services. We offer new siding installations for both commercial and residential properties. We can install wood, vinyl, cement and aluminum siding. We can also perform any type of vinyl siding repair in Richmond, KY. Whether it’s from a poor original installation or the occasional rock thrown by a lawnmower, we’ve got you covered! Central Kentucky generally receives its fair share of storms and when the time comes, we are there for our clients. One of our specialties is performing insurance restoration and claim contracting for siding. When a client contacted us about restoring one of their older buildings, we had no idea what to expect. Upon the initial field consultation, it was apparent we would have an uphill battle to climb. Here is an outline of this recent siding restoration and replacement in Richmond. Restore old building with new siding, windows and gutters. To increase curb appeal for the sale of property. Inspected framework including wiring components, insulation and wooden frames. Made necessary improvements with replacement of sheathing and insulation. Re-sized framework for new window dimensions. Installed new product materials including the addition of an overhang and decking. 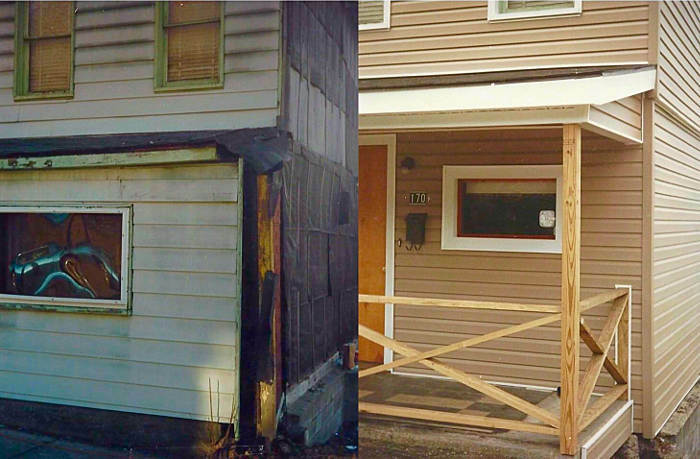 This is the before and after image of our siding repair. We’ve always placed our focus on our client’s needs, expectations and satisfaction. You can expect this focus to provide you with an experience you’ll want to recommend to your friends and neighbors. From the first introduction to the last piece of vinyl siding installed, you’ll be thankful you chose us to fulfill your project requirements. We take great pride in the quality of our workmanship and the way we conduct our operations. We have an amazing siding crew who will respect your property and ensure your installation is performed accurately. You’ll also have a quality control concierge stop by who’s available to answer any questions. It’s our commitment to perform our work with an extreme focus on quality and customer satisfaction. Trust in us as your professional siding company in Richmond.